POWER OF TWO: The honorees sharing a moment at the recent awards ceremony. THEATRE icon Leonie Forbes and the David Tulloch-led Probemaster Entertainment have established a solid working relationship over the years that continues to bear fruit - most significantly with her recent back-to-back Actor Boy wins (For My Daughter and Not My Child) for leading performances, both directed by Tulloch. 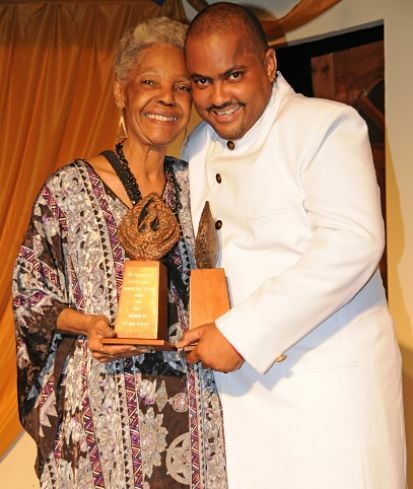 Add to that her legendary stage and screen career that's simply matchless among Jamaican entertainers today. So Forbes was a shoo-in for Hall of Fame honours at last week's inaugural Phoenix Awards, put on to coincide with Probemaster's 18th year milestone. The event, a gala-style celebration complete with cocktails and performances, took place at the Phoenix Theatre in New Kingston. "Acting for me is therapy, inspiration, challenge and purpose," Forbes told the packed house (who gave her a standing ovation as she both entered and exited the stage), reflecting on her artistic journey. "When I immerse myself and emerge from my make-believe world, I can smile at anything and anybody." As fellow iconic actress Ruth HoShing (who read the citation) pointed out, Forbes' lengthy resume lists starring roles in dozens of stage and film projects (12 national pantomimes included) and a whopping eight Actor Boy Awards for acting, a possible record. And at 80 years old, this mother and grandmother of three is still going strong. Tulloch, the night's other Hall of Fame inductee, also continues to defy expectations and confound critics. By his own admission, he's been tested and tried to no end over the course of the nearly two-decade long journey, as Probemaster's founder and chief principal. He knows all about endurance and survival. Throughout the journey, Tulloch (who admittedly cashed in his insurance policy in 1999 to start the company) has remained focussed and nurtured as spirit of gratitude. "Eighteen years is a lot of entertainment," he gushed during his acceptance speech, where he also took time to touch on lessons learned. "When you fall you must always remember to get right back up because you were going somewhere when you fell." As the night wore on, trophies, medals and certificates were handed put to key industry players, up-and-comers and folks (past and present) who've contributed significantly to Probemaster's success. 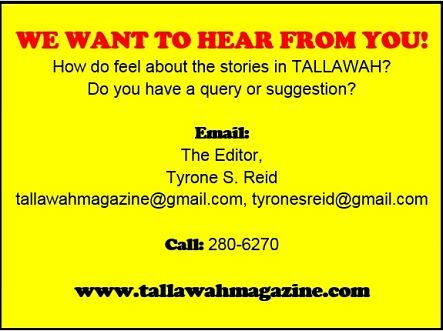 TALLAWAH's Tyrone S. Reid was presented with the "Critically Acclaimed" award.